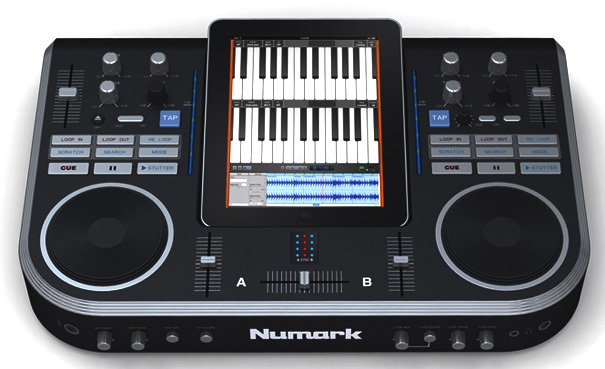 iPad DJ Station, Audio or MIDI interface for tablet/iDevice from Numark. 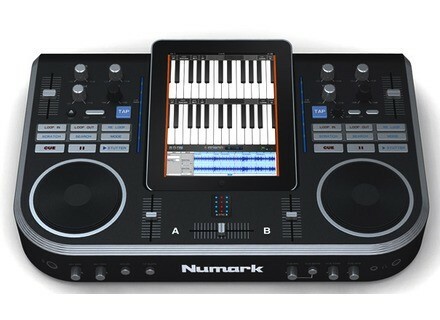 Following on the iPod DJ Station, Numark will introduce the iPad DJ Station soon. iDJ is a hardware workstation in which you slip your iPad in, connect and everything is taken care of automatically. You can add, edit, record and mix whatever you want, according to Numark. You will be able to record a piano, guitar and pretty much every other instrument from the iPad with any app and then add them to your creation. When you feel you are done, mix it down, do some cross fades and voila. You even have those virtual turntables to play around with. Numark promises compatible softwares such as Garage Band and other apps. NOTE: The picture is a design student concept piece and has nothing to do with Numark - stay tuned for more info. Universal Audio UAD-2 DSP Accelerator Universal Audio announced an update to its UAD-2 DSP Accelerator Packages. Virsyn iVoxel iVoxel - "The singing vocoder" for the Apple iPhone/iPad/iPod touch platform is available in the App Store now. ThaLoops Ethnik Stringz 1 This loop set contains melodies, hooks, riffs and licks played by instruments from the ethnic music world, over 380 ethnic hip hop themes, with loops modeled in the style of producers like Timbaland, Danjahandz and Neptunes.